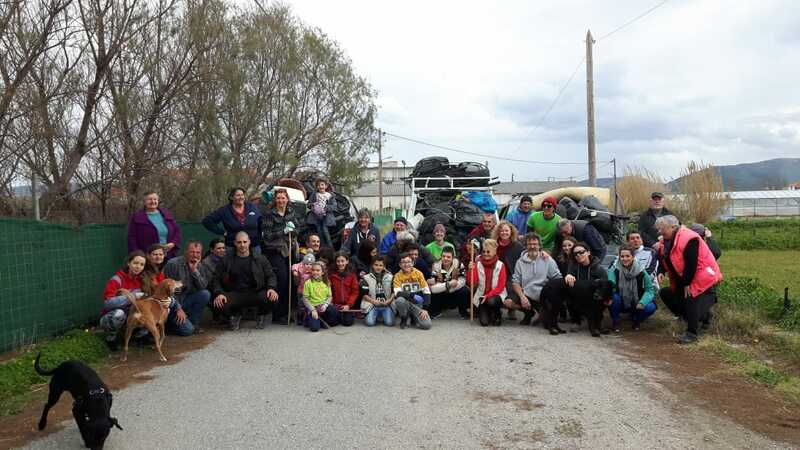 On Sunday 20th January, over 40 people turned up to clean the beach around Korfalonas, in Kissamos. 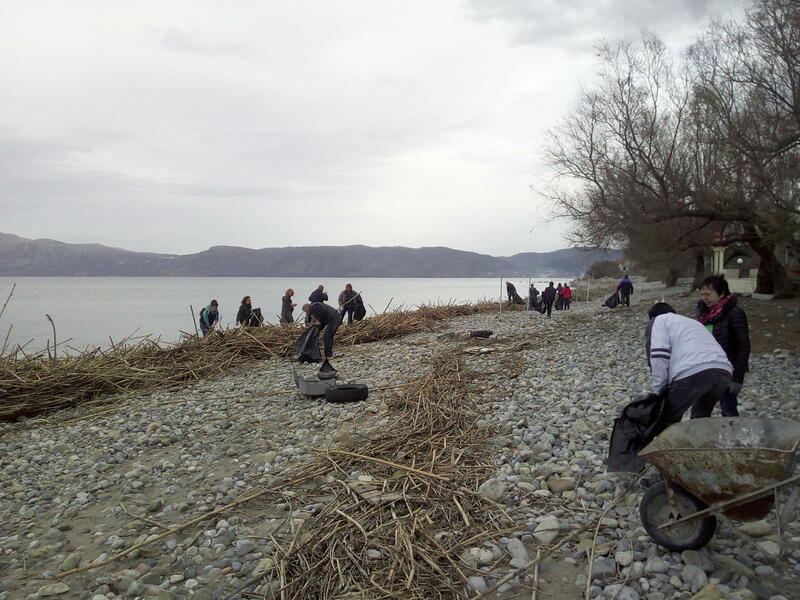 With the recent storms, loads of rubbish have both washed up on the beach and come down in the river, to end up close to river mouths in the area. 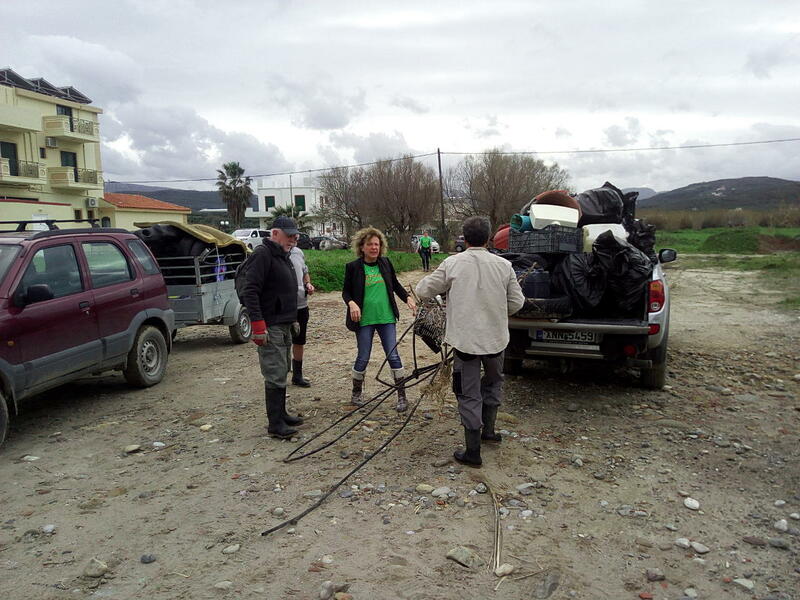 Today’s challenge was to separate the big, mostly plastic rubbish parts from the natural bamboo and wood piles. 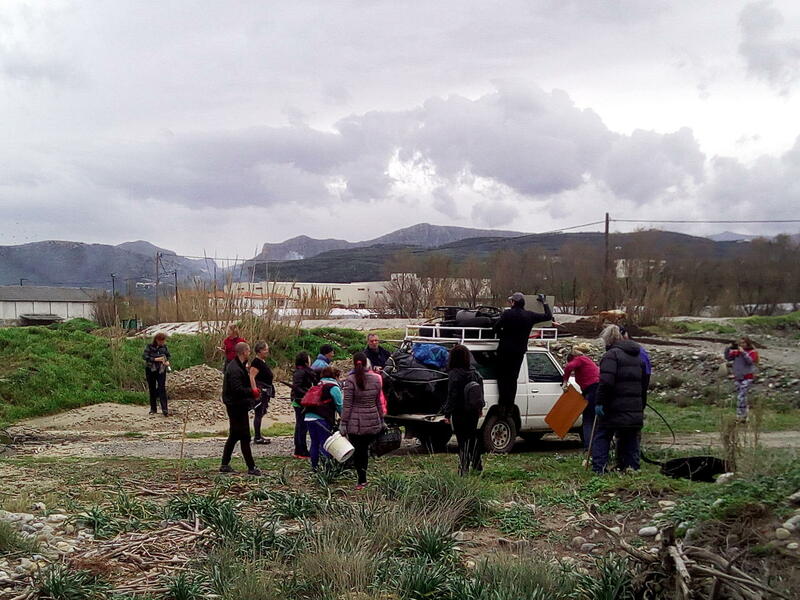 In about one and a half hour of cleaning, we managed to collect enough trash to load over capacity 1 pick-up truck, one 4X4 vehicle and one trailer. 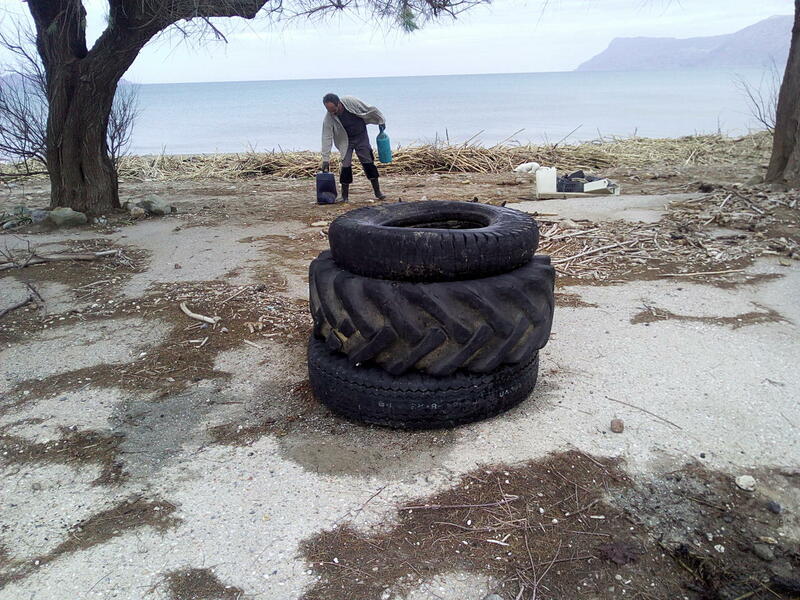 Among the biggest offenders were some big tires. Also recorded many, many big plastic containers of all types, long pipes, toilet flush tanks, and bottles of course. Today, the mountains of plastic that get left around in the natural environment are a little smaller. Only a small step, but the tide is turning.